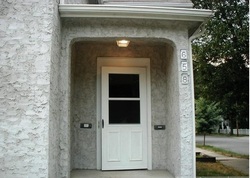 Charming home with 2 bedrooms and 1 bathroom located in Minneapolis' highly-desirable Northeast neighborhood. Amenities include hardwood floors, off-street parking and basement storage. 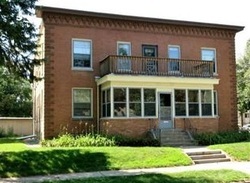 Well-located near downtown, restaurants and bars with 2 bedrooms and 1 bathroom. 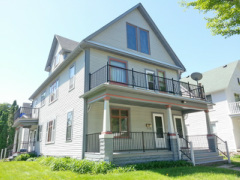 Amenities include hardwood floors and built-ins, washer and dryer, basement storage and more! Each one of four units feature 2 bedrooms and 1 freshly renovated bathroom. The kitchen will also be completely renovated with new cabinets and stainless steal appliances! The raised ceilings add space and comfort along with classic wood finishes. Located in the heart of Northeast Minneapolis's St. Anthony West neighborhood, this home provides convenient access to restaurants, shops, bars, downtown and the metro bus. 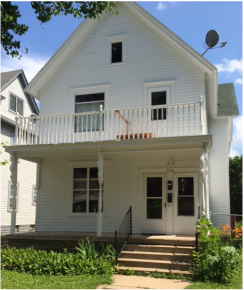 Charming home with 2 bedrooms and 1 bathroom located in Minneapolis' highly-desirable Northeast neighborhood. Amenities include newly renovated kitchens, hardwood floors and off-street parking. 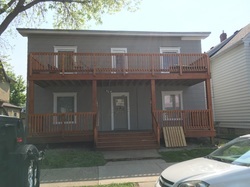 Large 2 bedrooms and 1 bathroom units within a Northeast Minneapolis four-plex. Close to it all - including many coffee shops, bars and restaurants. This property features a stunning back porch - great for entertaining.